You’ve all heard that saying "In this world, there is nothing certain, but death and taxes". I would like to add one more item to that sentence. Work. So I know there is a small percentage of the population that don’t have to work due to having enough wealth to sustain them. And then we have the odd hippie that decides they want to live in a cave off the land. That’s great for them, but for the majority of the human population, work is something we can't decide not to do. Work = Money, which in turn = food, clothing, roof over your head.. blah blah blah. This work thing can be such a drag though. From young we were asked, what do you want to be when you grow older? Then when we reach high school, we have to select the subjects that will help shape us for our future. And lastly, for those that get the opportunity to study, we once again choose who we are going to become. We choose this future job that will make us happy for the rest of our lives because it’s our calling, because we love it, because we were born to do it! Let’s get real. There are the select few in life that know what they want and have this calling or purpose in life. For the rest of us, we started off wanting to be a Fireman or Ballerina, then came the Race car driver and Singer, then we hit high school and it was Sportsman, Artist or anything that seemed “cool”. Then we eventually get down to decision making time and pick whatever seems the least likely to bore us to death but make the most money. Others that don’t get the chance to study find their lot in life by starting some random job which ends up leading to the next, and then the next opportunity. They tend to find their weaknesses and strengths out early on and just follow and grow with their strengths grabbing every opportunity that comes their way. Fact is, no matter if you did or did not study, we all hit that point where work is just work. That’s if we let it be. Whether you are a store manager, accountant or movie script writer, there are the days that you just don’t wanna do it. The days where you feel flat, just want to lie in bed and not deal with another customer, balance sheet or annoying actor. Every job has its ups and downs. The only question is, can you have a CAN DO attitude in the current job you are in? (Credits to my CEO for this expression). We have the power to change. Change our job, change our attitude, change our general wellbeing and mind set. You know that feeling of not having gone to gym for years and now you need to start going again? Or you’ve been getting up at 7:30am every day and now you need to change to 6am? It’s tough! Especially in the winter months. But the more you force yourself to do it, the easier it gets. You start seeing the positives like how much more energy you have and how well you sleep at night because you are exercising. You see how much extra stuff you get done in the morning by getting up early which frees up time in the evening to do things you love. The only way to crack something is by forcing yourself to do it and then making it a habit. Only then, will you see the positive things all around you. You also have to practice being positive remember. 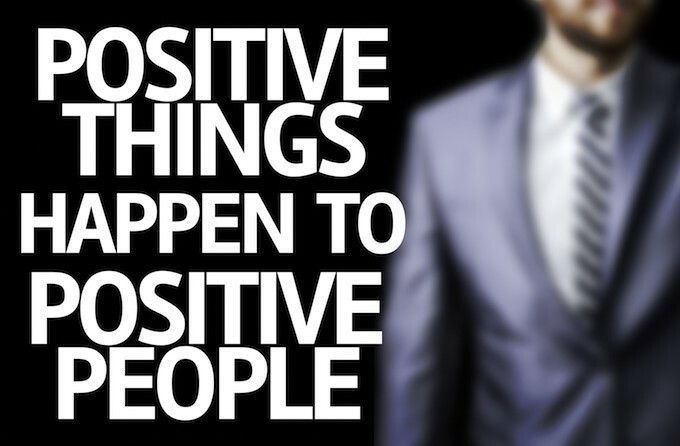 Think positive, be positive and positive things will happen! So then, how do we apply this in a work situation? Maybe get to work that 15 minutes early so that you can have your 5min catch up with a colleague, grab a cup of coffee and start your day relaxed instead of stressed. You might even need that extra 15 minutes to go through your emails and get the head start that will make the rest of the day feel like a breeze instead of always being behind trying to catch up. I know you what you are going to tell me. The company does not pay me for that extra 15min! So what? They are also not going to pay for your heart attack. We need to stop thinking so clinically. If you start good habits and start loving what you do, then you don’t even notice the extra time you spend there because you are happy being where you are. Also, once you are happy and stop procrastinating and moaning, you will become more efficient and probably not need to work that extra time because your great attitude will get things done faster. The same way we make choices in everyday life about being positive about our Country, Racism, the Rand/Dollar exchange, we need to make positive choices about our career. Happiness is a Choice. We can choose to make the best with what we have. In all honesty, if you do that, you will probably find that more doors of opportunity will open up for you. If you decide to wallow in your self-pity and do the bare minimum, what employer in their right mind would promote you? I wouldn’t. If you are still not happy in your job, but followed this advice, then you probably would have found renewed energy and mind set to actually make a plan of action to get a new job. Either way it is a win for you. We need to “own” our life and start taking pride our back. Let’s be proud of our Country, proud of our Family, proud of ourselves and proud of the job we do. To serve is an honour. And in every job is service, whether it be to serve a customer, or an organisation that serves a purpose. We all serve whether directly or indirectly. So why not do it like we want to do it? In today’s cut throat retail industry, customer service is what is going to separate the cats from the pigeons. We at Crafters Market pride ourselves in our service. We want a warm friendly environment that welcomes every customer and allows you the freedom to browse through all our Crafters. This is where you come and shop for gifts, Home Décor or decide on that something you are going to be making for your room or school project. Crafters Market staff are not only there to assist with products, but with knowledge and opinions that could help make your decision just that little bit easier. Our Crafters go the extra kilometer (supporting local language) to help with customised orders and our store staff are waiting to go the extra kilometer in store just for you! We a proud to serve you!